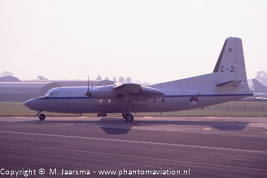 Two of the Fokker 27s (F-27.200MAR) were based at the Dutch Antilles (336 squadron). The two aircraft are designated C-31A and operated by the US Army Golden Knights parachute display team. 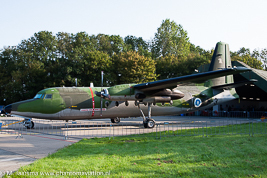 Finnish Air Force F-27-400M Luchtmachtdagen 2011 (Leeuwarden). 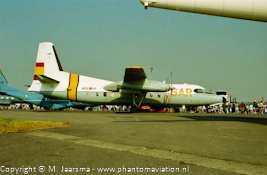 Royal Netherlands Air Force F-27.100 at RIAT 1996 (RAF Fairford). Spanish Air Force F-27M.400MPA at RIAT 1996 (RAF Fairford).